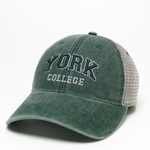 Unisex hat with sliding cloth adjustment using brass buckle. 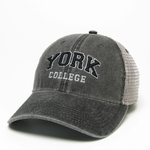 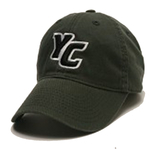 Legacy adjustable hat with a YC leather patch on the front. 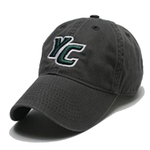 Unisex visor with velcro adjustable back. 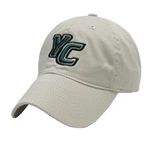 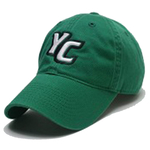 Visor has mini YC embroidered on the front.